The futon is something everyone knows about, but yet don't know about. I'll try to fill you in some of the details here. First, why? Well, space is at a premium in Japan. Something like 85% of the country is mountains and uninhabitable, so that doesn’t leave much for living room. As a result, houses and apartments are typically much smaller than they are in the West. Because of this, the Japanese have devisedall sorts of ways to save space. 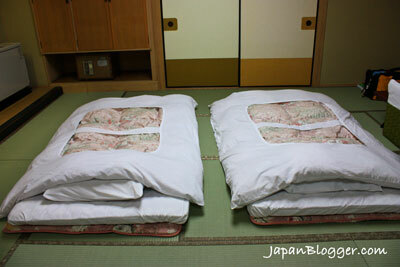 One of them is the traditionalJapanese bed – the futon. As you can see in the photo, it really doesn’t bare much resemblanceto the American version. I imagine the one we in the States came froman ex-army guy who was here during the war and saw the Japanese bedsand decided to borrow the idea, but then took it in a somewhat… cheaperdirection. So… what is a futon? It's basically a bed that you put on the floor when it’stime to sleep, then pack up and stick in the closet during the day soyou can reclaim that space for other use during the day. It typically consists of a padding to lay down first, a mattress, athick and extremely warm blanket, and a pillow filled with a specialkind of beans that conforms to the shape of your head and keeps it warmat night. There are other add-ons you you can buy too, including in the wintera large water bag for keeping your feet and legs warm (fill it with hotwater before going to bed), a fleece blanket to attach to the mattressso you can lay on something warm instead of the cold mattress, and soon. It may not sound comfortable sleeping on the floor, but actually they are really nice. This of course varies depending on the quality you buy, but even the cheaper variety I’ve bought are very softand comfortable to lay on. In addition to being comfortable, being able to pack up your bedand reuse the space for other things during the day is very handy. 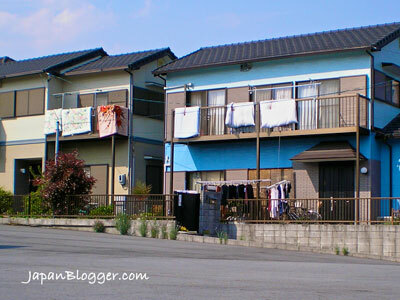 Whenyou see how little space Japanese apartments and houses have, yourealize just how handy that is. Also, since they are relatively light and portable, they areeasier to keep clean than regular beds. It is common to see futonshanging out windows and from balconies during the day. This airs out the mattress and blankets and lets the sun kill any germs on them. There is also aspecial beater (it looks like the old carpet beaters) that housewivesuse to furiously beat at them as they hang outside, trying toget rid of every molecule of dust, any bed bugs, and all that kind ofthing. Or maybe just to get out their anger. Either way. From what I understand, many kids these days don’t like futons andbeg their parents to buy them “Western Beds”. Often a few years laterwhen they get their own apartments they see the advantage of Japanese beds andswitch back. The only real disadvantage is that modern floors of woodor vinyl are very cold in the winter; as a result, the futon canbecomes quite cold without things like extra padding beneath it. 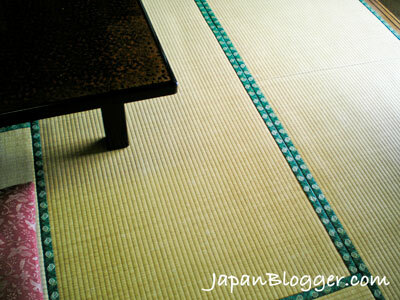 Traditional Japanese houses used tatami (tah-tah-me) for theflooring. Tatami is basically a thick straw mat. It is very soft, and also inthe winter it absorbs heat during the day, so is warm even in very coldnights. Modern houses still have one or two tatami rooms, but modernapartments usually don’t. At the most, they will have very small tatamirooms that aren’t large enough to sleep in. For most people the advantages far outweigh the disadvantages, andso the today the futon still remains more common and popular than aWestern-style bed. I know I love my futon! I hope you have enjoyed this article. Please let me know whatyou think by heading over to the “Contact Me” page to send me your feedback – or if you have twitter, simply shoot me a message @japanblogger. Also, if you happen to find any typos or if I messed up my facts, be sure to send me corrections – I’ll make any necessary changes and credit you with correcting me.